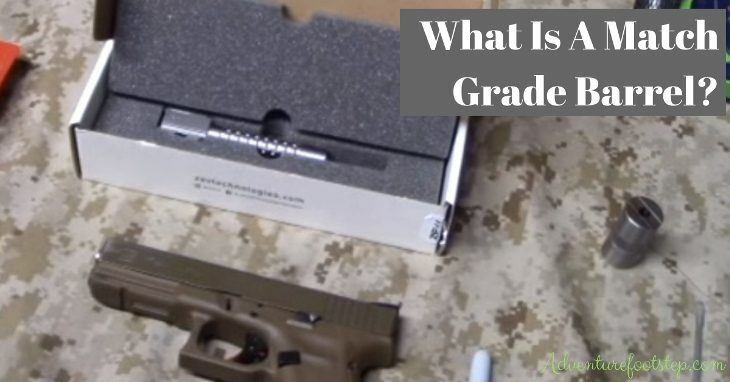 →What Is A Match Grade Barrel? Who Should Use It? Many weapon manufacturers use the concept “match grade barrel” to talk about their products. And if you want to improve your weapon, you have to understand this term clearly. So what does it mean? What is the difference between the types of barrels? Who should use it? The answers to these questions will be listed here. Let’s find out! What Is A Match Grade Barrel? 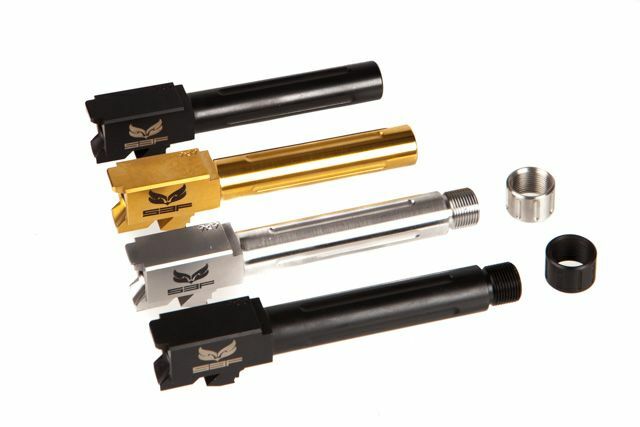 In the shooting world, there are many concepts that the shooters should know correctly to complete their knowledge, including the “true” definition of a match grade barrel. So what does it mean? It is understood to be a barrel built with a very high standard of accuracy. This type of barrel can be fired in close distances in comparison to the others. Accordingly, the barrel should be made with tighter tolerances, creating an extremely tight fit between it and the chamber to raise the precision. This kind of barrel is usually pretty heavier and thicker than others. It is sometimes manufactured by various materials or under multiple treatments. Is A Match Grade Barrel Great As You Think? Although a match grade barrel is built to be highly accurate, there are still several issues with it. First of all, there isn’t standardized tolerance/allowance for a set barrel of most guns, meaning that a producer may make a better or worse match grade barrel than other producers. There is the fact that the match grade barrel of this producer probably doesn’t have as good quality as the standard barrel made by another producer, depending on which standard tolerances they use. Second of all, it seems that the term “match grade” is usually used a little bit loosely. Are you buying a gun which is produced in a big scope? Let’s consider carefully! Because there is a high rate that its inner parts are also provided in a big range. It maybe leads a match grade barrel with quality not high as you expect. If you plan to own a match grade barrel, be sure that you buy it from a famous manufacturer that makes customizable barrels. Who Should Use A Match Grade Barrel? A match grade barrel is usually used only by competitive snipers and shooters. However, if you don’t have full knowledge about the concept of a match grade barrel, you had better not need it for your weapon. 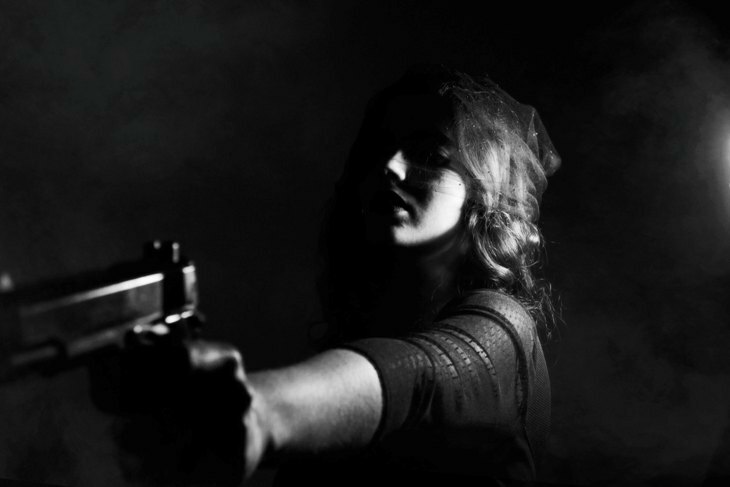 Owning the right high-quality barrel made by a renowned manufacturer can give your gun a significantly higher accuracy. But if you only need a gun for casual hunting or shooting, standard barrels are good enough. In case you need a high-quality gun for considerably long distance hunting, or competitive shooting, a match grade barrel is better for you. So before choosing yourself a proper gun with a fixed barrel, ensure that you need a high-quality barrel with extra money or not. If this article has helped solve your questions, leave your comment here!